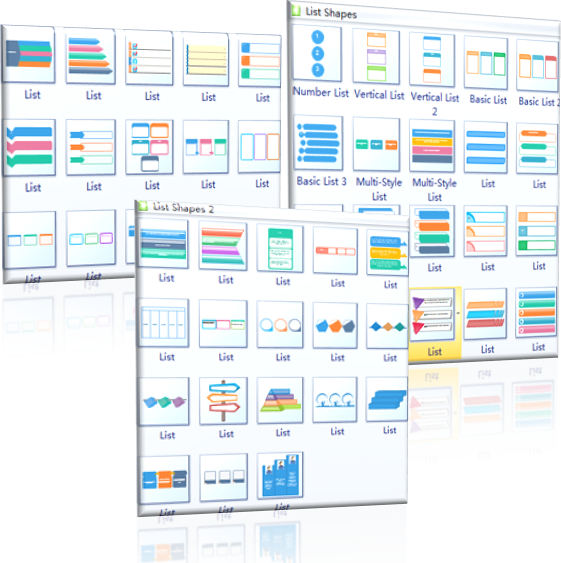 Presents a group of list shapes that are ready-to-use. 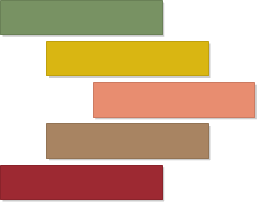 See a simple guide about how to edit these smart shapes and use them to draw diagrams. 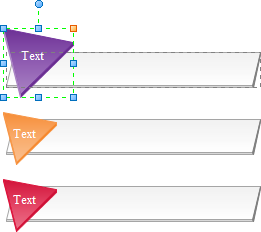 A set of specified pre-drawn list symbols are embedded in Edraw Max. 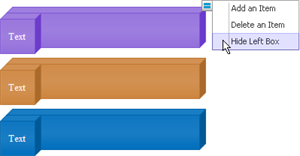 Since they are vector format, users can zoom them freely. See some screenshots below. 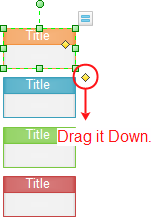 The shapes can be edited easily through the floating button and yellow control points. 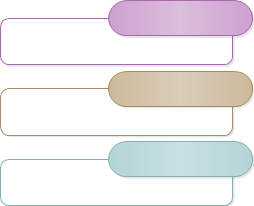 Multiple variations of the list shapes allow limitless possibilities in diagramming. You can try the software free for 30 days. 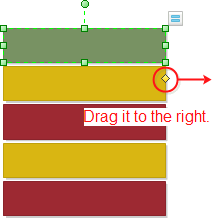 Just drag and drop list shapes you need onto the canvas. No need to search online & download. They are fully integratable with MS programs. You can directly copy and paste them into Word, PowerPoint and Excel. 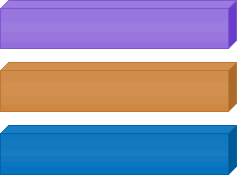 Note: edit the shapes before you copy them to other programs. 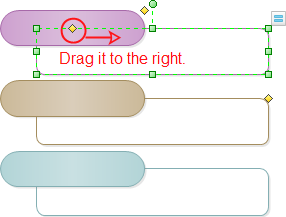 Rest the pointer over the shape to show the floating button and edit the shapes through it. 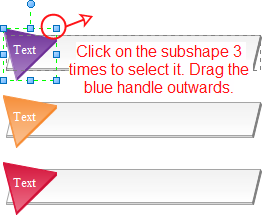 Click on the shape to select it.